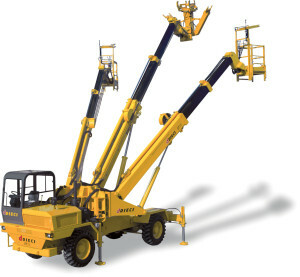 Dieci is always open to customer requests. This is how our SPECIAL MACHINES came to be. 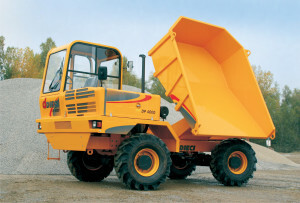 Even the standard dumpers have been modified according to direct customer requests, giving fruit to the gigantic dumpers series with capacities up to 7 m³, illustrated on these pages. 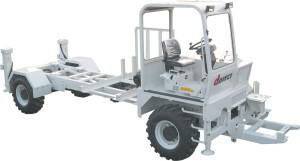 They are particularly suitable to moving in small spaces and along winding routes riddled with obstacles, as often occurs on building sites, in mountainous regions, historic city centres, tunnels and road tunnels. Unique projects that meet a precise philosophy: “say the machine you want; we will build it”. Safety device: Movement block in case of overload, starting only with gear in neutral, load limiter.